What is Page Rank & How to Increase It? Page Rank short form is PR. PageRank was developed at Stanford University in 1995. It was develop in the order to create an algorithm for Google that would allow the website to rank all web pages or websites. Google will gives every website to a rank. It is from 1 to10. New website has N/A or 0 page rank. Page rank is depend on site quality and backlinks of your website. Having a good page rank shows that site is credible site. Page Rank is very Important part of any website. Everyone tries to improve their site rank on top position, so here I am share with you the Killer Tips To Improve Page Rank of a Website. Submit Site to Search Engine- For Increasing page rank of any website, first of all you have submit your website link to search engine like Google, Yahoo, Bing etc. So that, if anyone can searhing for your site it will found on search engine. After updating your sites, you can ping search engine for indexing your site, it will helpful for your site for increasing page rank of website. The most important aspect to your page rank is the content on your website. If your content are poor and dublicate, then nobody will be come to your site. it will decrease your page rank. So always use unique, original and helpful content, so that everybody will be interested in your site and they will come daily on your site. Remember- you should daily add new content to your website. Google loves crawling new content. Daily updating site, Google will crawl your website fast and it will helpful for increasing your page ranking and traffic on your site. Submit Blog To Web Directories- A simple way to improve the PageRank of the site is to submit the site link to web directories. If you submit your site to more directories you will get more backlinks, which will increase your sites chance of ranking high in the Google. you have to wait for many days to get approved and listed your site link on their directory. You have also submit your site link to Some Directories like- Dmoz, Google, Yahoo directory, Scrub the web. Add URL, Go articles etc. Good Domain and Server- Make sure your website domain and hosting are a trusted service provider like godady, hostgator etc. If your domain was hosted with a poor or spam service provider, Your website would never get good page rank. Remember, when buying a domian and hosting, choose good services provider hosting, it will helpful for your page rank. Comments on forums- Forum is the best way for getting lots of traffic. Choose some high page rank sites of forum. Register them and start comments on these sites. You can also provide some useful information about that topic. Before starting commenting, just get their page rank details. Use high pr sites for commenting. 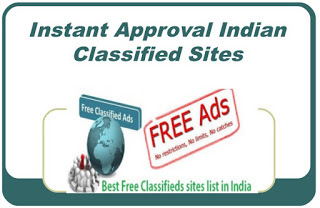 Use only free classified sites with high page rank, By these you can easily promote any brand or website. Social Bookmarking Sites- Social bookmarking sites are link sharing sites. These are very helpful for users to share their links. 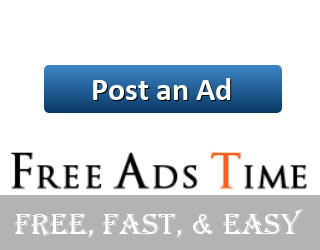 It is also a good way for getting traffic to your sites. There are many bookmarking sites like- StumbleUpon, delicious, reddit etc. Here you can find a great list of Social Bookmaking sites list. Blog commenting- It's very easy and effective way of link building. Blog commenting gives faster results. It can increase your backlinks in short time by doing good blog commenting. I have a list of blog commenting sites, which gives you list of sites, that approve comments very fast.